Our modern, light-filled Hawthorn studio offers classes to suit all levels, everyone is welcome. We offer modifications for beginners and variations for those with an advanced practice. Detoxify & energise with Hot Yoga. Tone & sculpt with Power Flow. Strengthen & stretch with Basics & Slow Flow. Relax & mobilise with Yin Yoga. We also offer classes catered to prenatal & postnatal yoga, regular workshops and yoga retreats, as well as a mobile yoga service for community, school and corporate groups. 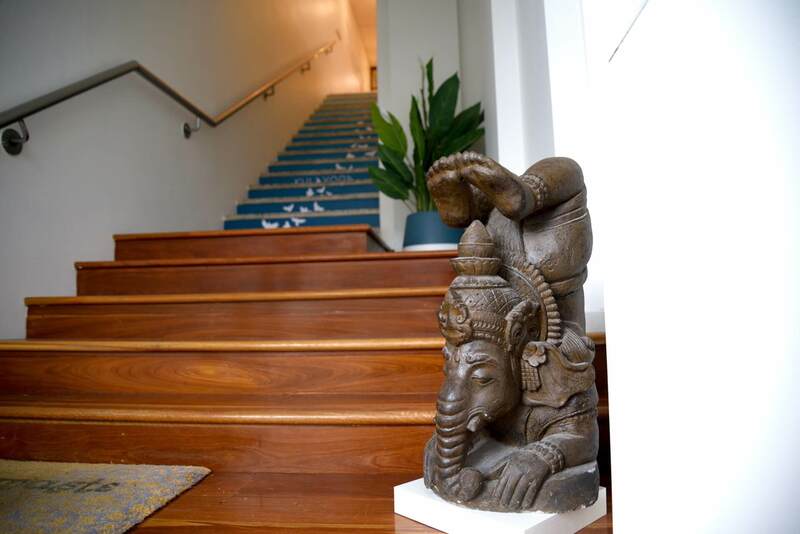 Our beautiful studio is the largest in the Camberwell and Hawthorn area offering the Boroondara community 40 classes, 7 days a week for your convenience. Enjoy modern facilities, expert teachers and a range of complementary wellness services for optimal health. – For our Hot Yoga class we turn the heat up to 35 degrees to detoxify and revitalise. – The heat allows the body to open up and find depth in the poses. – The class incorporates breathing exercises, vinyasa flow sequences, standing, balancing, seated and twisted poses. – Our Hot yoga includes vinyasa flow to build fitness and strength as well as static poses similar to those found in the Bikram sequence. – Come to class hydrated. A towel and water bottle are recommended. – For Power Flow we keep the temperature at a balmy 28 degrees for an energetic and rejuvenating class. – Dynamic Power vinyasa flow will help to sculpt your body and release your mind. – This is a faster paced class that builds cardio fitness as you synchronise movement with breath for a dynamic full body workout. – Our power flow integrates awareness and alignment while building strength, tone, flexibility and core stability. – The class may include sun salutations, standing and arm balancing, seated, twisted and inverted poses. – Our Slow Flow is all about control, with as much creativity but half the pace of our Power Flow. – Practiced in a comfortable 28 degrees, we connect movement with breath yo create a sustained flow. – Slow Flow is the perfect transition from Basics to Power, where you will focus on alignment and control to stabilise and build strength. – This conscious flow will help you build the technique and confidence to work towards advanced variations. – The class may include sun salutations, standing and arm balancing, twisted and inverted poses. – Yin yoga is a meditative and slow paced class with long, deep holds for enhanced mobility and relaxation. – Enjoy a deep stretch especially through the hips, pelvis and spine. Yin yoga creates space in your body and stimulates the body’s meridian lines (energy lines). – Enjoy this gentle class in a welcoming, regular temperature room. Sequencing may include seated, twisted and supported poses held for 2-5 minutes. – A therapeutic complement to our energetic classes and to balance out an active lifestyle. ‘Yin’ is perfect for those looking for a blissful class to relax and unwind. – Basics is perfect for those new to yoga or wanting a slower paced flow class without the heat. – We focus on correct alignment and technique to build a strong foundation. – Basics will help you strengthen and stretch to stabilise and release the body while calming the mind. – Practiced in a regular temperature room in our smaller studio space for more hands on adjustments and personalised attention from the teacher. – The class may include simple sun salutations, standing and balancing, seated, twisted and strengthening poses. – Prenatal yoga helps to alleviate back and body pains associated with a growing belly. It also improves circulation, balance and increases strength and flexibility. – Postnatally, yoga is just as important to rebuild, restabilise and reconnect with the body after some huge changes. Yoga promotes functional healing to ensure a faster recovery, strengthening muscles and improving postural alignment. – With blocks and bolsters for support, our pre and post pregnancy yoga class offers a slow flow sequence, standing and seated poses as well as breathing exercises and relaxation. – A special yoga class for new mums to strengthen, stabilise and stretch with their baby. – 5 week rolling course – Start whenever you are ready. Mamas please get your doctor’s clearance before starting. – 5 week course will cover core and pelvic floor, shoulder and hip stretching, stability and posture, breathing and meditation for mamas. – For baby we will explore massage and joint movement, interactive play and bonding, soothing and breathing techniques to encourage sleep. – Suitable for babies 6 weeks through to crawling. – It doesn’t matter if your baby is grizzly or unsettled, the classes are friendly, informal and fun. All mums and bubs welcome. If you are new to class please book your introductory ‘2 Weeks for $30’ special online or arrive 15 mins early at the studio to allow time for registration. We offer drop in classes with an optional online booking system. All classes are 60 minutes except for our ‘Power Plus’ and ‘Yin & Meditation’ classes which are 75 minutes long. Are you new to yoga teaching? Do you lack the experience needed to lead a yoga class with confidence? 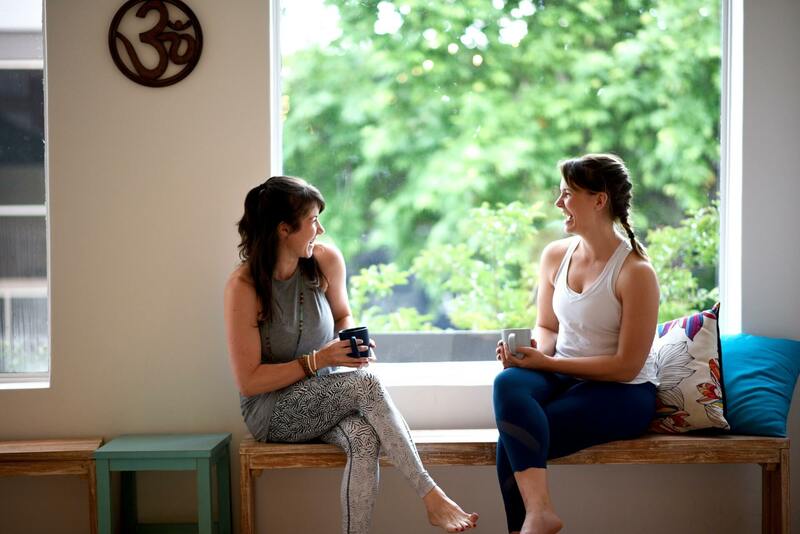 Our Yoga Teacher Mentorship Program allows you to book a private session, or multi session package, with one of our experienced and highly qualified senior teachers to take your teaching to the next level. "Stunning studio, warm and welcoming staff and a great range of classes and timetable that suit whatever you need. A beautiful community that I love being part of!" "There is a sense of community like no other at Kula. Not to mention the space is divine and offers a beautiful practice across varied needs - from restorative to dynamic. I love Kula!" "Kula is a beautiful sanctuary with a warm community vibe. They have a varied range of class styles from Power to Restorative, which accommodate all levels and abilities!"